Elevating their bilateral partnership to a new level, India and Oman have inked eight agreements in the fields of health, outer space, tourism and military cooperation during Prime Minister Narendra Modi’s maiden visit to the energy-rich Gulf sultanate. High on optics as well as substance, Mr Modi visited an iconic mosque and Shiva temple in a visit that saw the two countries place their multi-faceted relationship onto a new trajectory. 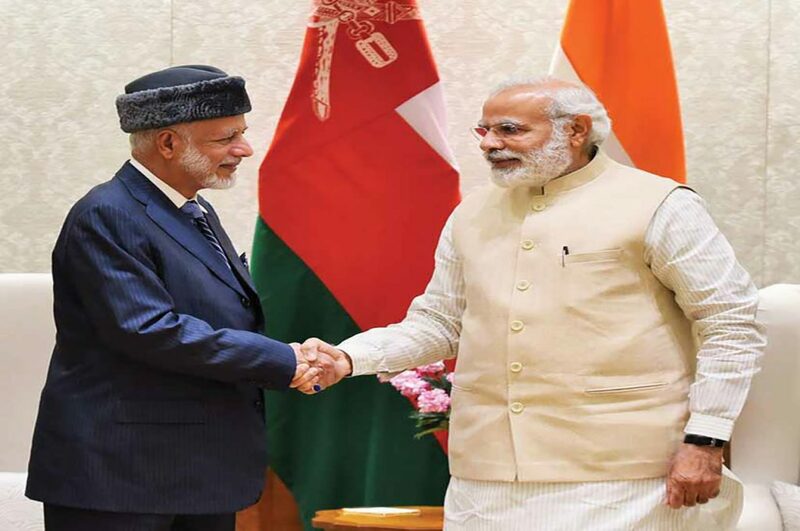 The delegation-level talks between Mr Modi and Sultan of Oman, Qaboos bin Said al Said, in Muscat has pushed the envelope for India’s partnership with the Gulf country. Defence cooperation has emerged as an important pillar of India-Oman relations, with reports of a possible Indian military base in Oman amid shifting geopolitical equations in the Indian Ocean region.